Demonstrate Silicon-Organic Hybrid modulators based on slot waveguides infiltrated with electro-optic polymers or other nonlinear materials. M. Lauermann, C. Weimann, A. Knopf, W. Heni, R. Palmer, D.L. Elder, W. Bogaerts, J. Leuthold, L.R. 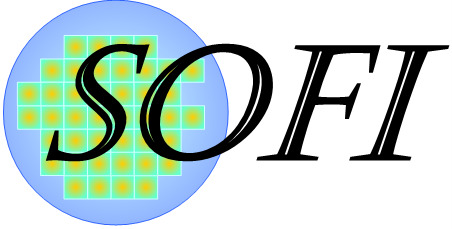 Dalton, C. Rembe, W. Freude, C. Koos, Integrated optical frequency shifter in silicon-organic hybrid (SOH) technology, Optics Express, 24(11), p.11694-11707 (2016) . R. Palmer, S. Koeber, D.L. Elder, M. Woessner, W. Heni, D. Korn, M. Lauermann, W. Bogaerts, L.R. Dalton, W. Freude, J. Leuthold, C. Koos, High-Speed, Low Drive-Voltage Silicon-Organic Hybrid Modulator based on a Binary-Chromophore Electro-Optic Material, J. Lightwave Technol. (invited), 32(16), p.2726	- 2734 (2014) .